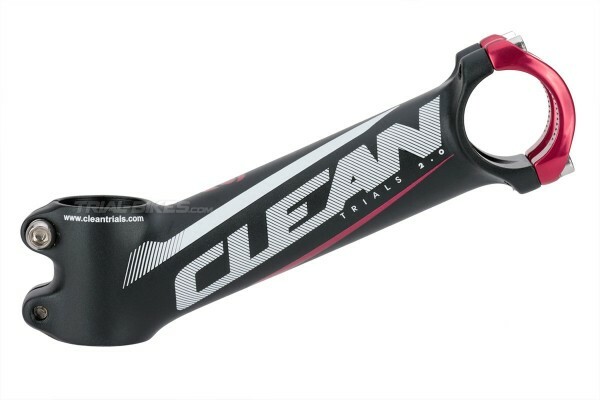 New high quality stem manufactured by Spanish brand Clean. Made from 3D forged 6061-T6 aluminium alloy, which allows for increased stiffness and strength than welded stems. Features a 4-bolt handlebar clamp, including all 4 M5x15mm bolts, using 2 separate CNC-machined clamps with 2 bolts each. This allows for an easier handlebar installation and removal. 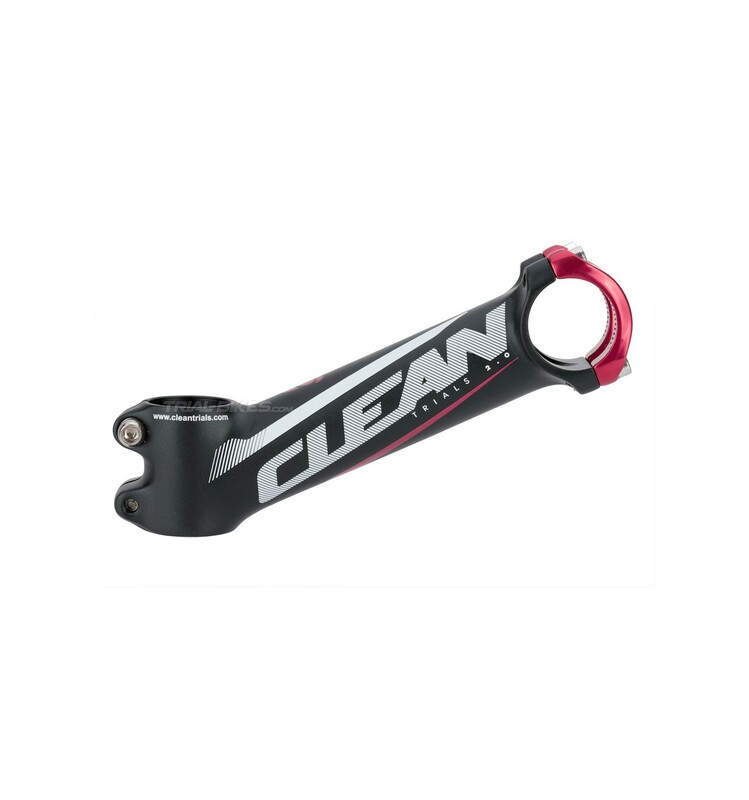 - New high quality stem manufactured by Spanish brand Clean. - Made from 3D forged 6061-T6 aluminium alloy, which allows for increased stiffness and strength than welded stems. - Features a 4-bolt handlebar clamp, including all 4 M5x15mm bolts, using 2 separate CNC-machined clamps with 2 bolts each. This allows for an easier handlebar installation and removal. 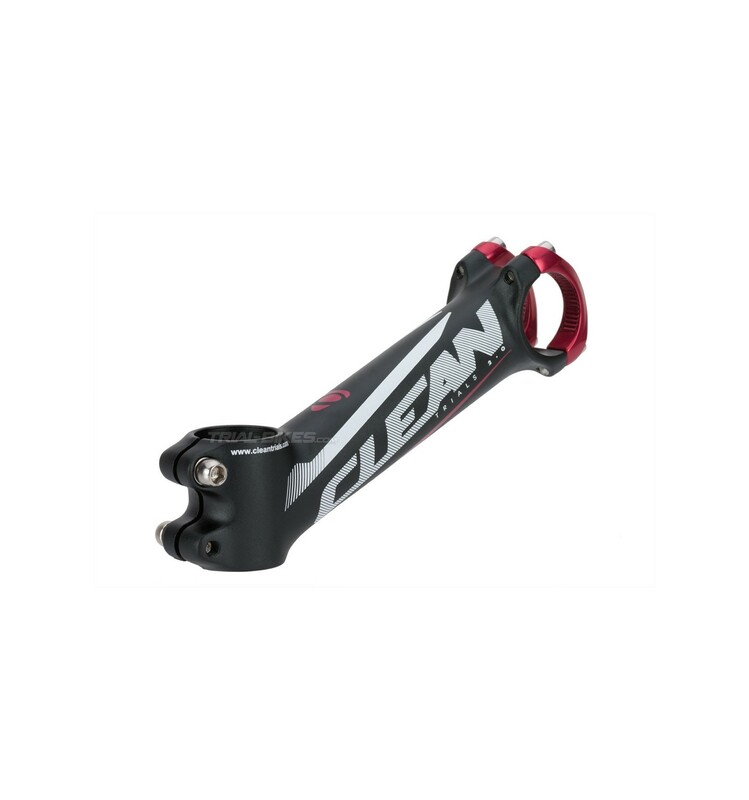 - The steerer clamp ensures 45mm contact with the fork’s steerer tube, and uses 2 M6x20mm steel bolts (included). - Black, with white and red Clean graphics . 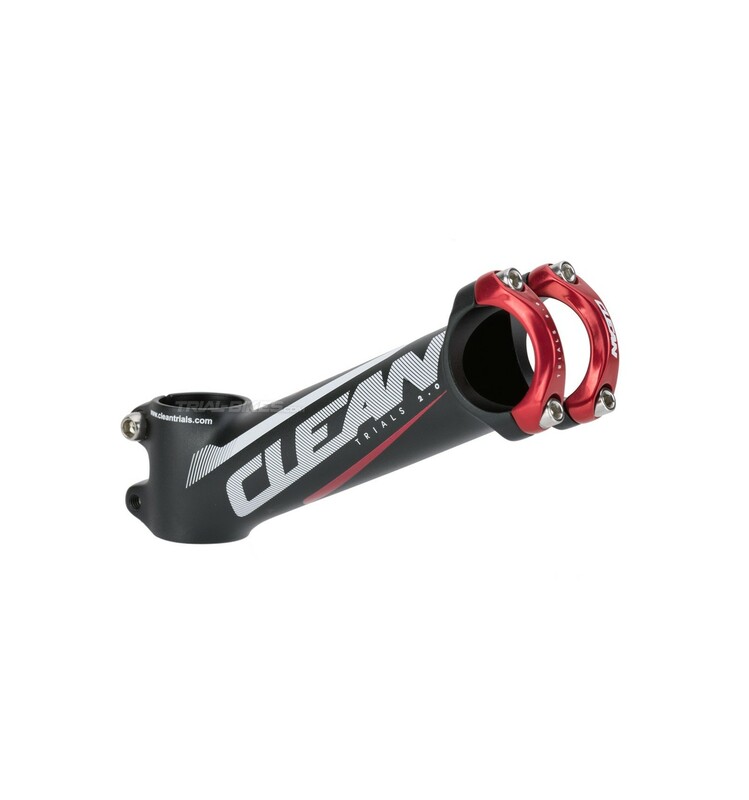 - Red handlebar clamp, with white Clean graphics.